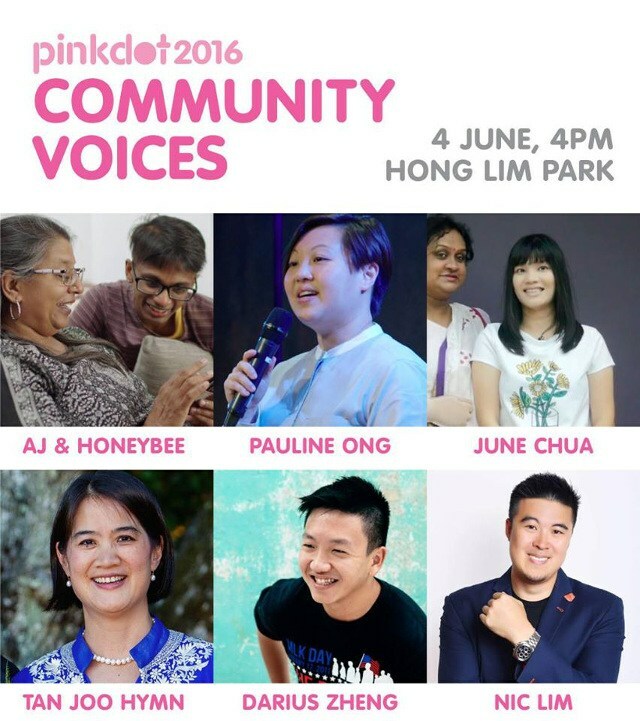 Pink Dot’s Community Voices segment started in 2014 to give different segments of our community a platform to be heard. We’ve heard from the likes of Becca D’Bus, Benjamin “Mr Miyagi” Lee, Jolene Tan, SKL0, and we know you’ll not want to miss this year’s exciting line up. For 2016, we will have AJ & Honeybee, Pauline Ong, June Chua from our 3-part series documentary, as well as Tan Joo Hymn, Darius Zheng and Nic Lim speaking at 4pm sharp at the soapbox!